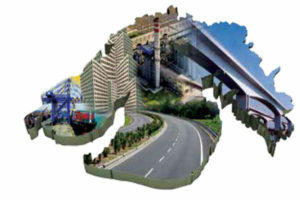 Gujarat is one of the key drivers of India’s economic development. The state has demonstrated leadership in many sectors including manufacturing, infrastructure, environment, tourism, healthcare, pharmaceuticals, textiles, innovation and R&D, defence and aerospace, agro & food processing, among others, that reflect the diversity and vibrancy of the state’s industrial landscape. The Government of Gujarat has identified various focus sectors to build backward and forward linkages to help create a strong multiplier effect in the economy with an aim to boost consumption and act as the key drivers of growth to provide a robust foundation to the state’s economy. As part of the “Make in India” initiative and to promote defence manufacturing sector in Gujarat, Government of Gujarat has launched the Aerospace & Defence Policy 2016. Since the launch of the policy, private companies have received 20 licenses for setting up A&D manufacturing units in Gujarat. The companies would set up the defence manufacturing bases in districts such as Dholera, Kutch, Bhavnagar, Amreli, Kheda, Vadodara, etc. Gujarat State Aviation Infrastructure Company Ltd (GUJSAIL) is conducting feasibility study to setup an aviation park in Bagodara near Ahmedabad. The park is expected to have facilities such as an airstrip, helipad, training school, and space for setting up small manufacturing units. With skilled intensive manufacturing capabilities and a robust infrastructure, Gujarat has the right ingredients to become a key link in the Indian defence supply chain. The focus sectors under Gujarat A&D Policy include Artillery, Automotive, Shipbuilding, Aircraft Assembly and Manufacturing, Defence-tech fabrics and Composites, casting and forging products, Maintenance, Repair and overhaul, Research & Development, Ammunition & Small Arms, electronics, etc. Dholera Special Investment Region (SIR), which has been declared as the National Investment Manufacturing Zone (NIMZ), is to be the biggest beneficiary of DMIC and DFC. With a total notified area of 920 sq km, a world class Plug Play and Future Proofed infrastructure, availability large and contiguous land parcels, Best in Class ICT enabled smart infrastructure, integrated planning with holistic approach for urban living and excellent connectivity with major economic centres, it is well placed to be developed as an Arospace & Defence hub. A state-of-the-art ISO 9001:2015 certified research centre in the field of forensic ballistics has been established at Gujarat Forensic Sciences University (GFSU). It is among the first of its kind centre in India authorised for testing and reporting of ballistic resistant materials and vehicles. The ballistic range renders timely services for the defence establishments and various agencies of personal security in the country for the testing of the body protection materials. GFSU also has a Cyber Defence Centre that is used for cyberwarfare training and cyber-technology development used by government and defence agencies. Advanced research laboratories for Cyber Security as well as Chemistry and Biotechnology Forensics have been established to provide the research environment in the institute. 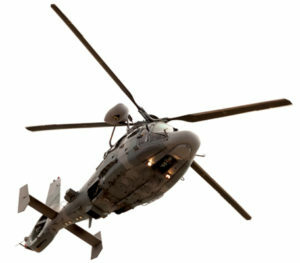 Some of the prominent Aerospace & Defence companies operating in Gujarat include Larsen & Toubro (L&T) at Hazira Manufacturing Complex, Vadodara Heavy Engineering Works at Ranoli, Reliance Defence and Engineering Limited, Adani Aero Defence Systems & Technologies Ltd, Investment & Precision Castings Ltd, Jaivel Aerospace and eInfochips, among others. In Gujarat, during the period 2011-12 to 2016-17(Q), the GSDP for agriculture sector, including animal husbandry sector, had increased from $148 billion to $175 billion at constant (2011- 12) prices. The major agricultural produce of Gujarat includes cotton, groundnut (peanuts), dates, and sugar cane, milk and milk products. The state is also a leading producer of tobacco and cotton in India. With total cropped area of 13.9 m ha and net irrigated area of 4.32 m ha, Gujarat has 8 agro-climatic zones. The state has a diverse climate, with 40 major crops being sown here. To top the production, the state offers a strong market infrastructure system coupled with increasing adoption of hi-tech agriculture techniques. Gujarat State Horticulture Mission (GSHM), a registered society, has been formed for the implementation of “National Horticultural Mission (NHM)” in the state. The aim is to double the horticulture production and income by the development of infrastructure and market facilities. The mission is being implemented in 21 potential districts and covers important crops infrastructure and marketing facilities. A Dutch subsidiary is working closely with cold storage owners in Mahua Gujarat, which is expected to have its ‘Operation Green’ in the next few years. With 20 percent of total milk production in the world, the total milk production of Gujarat in 2016-17 was 12.87 million tonnes (MT). The dairy sector in Gujarat is majorly dominated by 19,788 cooperative societies. Private players too have been expanding their production and leveraging the increased domestic demand. The state has 51 dairy plants, which is second highest in the country. Anand city of Gujarat is known as the milk capital of India. In the Animal Husbandry sector, 12 Intensive Poultry Development Projects (IPDP), 5 District Poultry Extension Centres, 85 Poultry Service Centres and 26 Intensive Cattle Development Projects (ICDP) are functioning in the state. During the year 2016-17, 12,107 Animal Health Camps (Pashu Arogya Mela) were held in which 9.24 million animals were treated. Gujarat accounts for 8.5 percent of India’s total fish production (Marine + Inland). With major fisheries harbours like Jakhau, Porbandar, Mangrol, Veraval and Dholai, the marine fish production constitutes 86 percent of the total fish production of the state. Important commercial varieties of fish include Pomfret, Jew fish, Bombay duck, Shrimp, Lobster, Squid, Cuttle fish, Silver bar, Hilsa, Shark, Catfish and Mullets, among others. Export of fisheries has increased from $175 million in 2007-08 to $5.9 billion in 2016-17, a CAGR of 18 percent; it contributes 23.35% in the Nation‘s overall value added marine products exports. 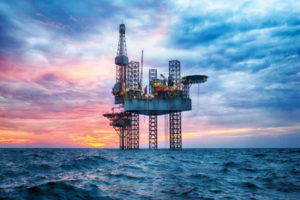 Gujarat accounts for 62 percent of India’s petrochemical production, 30 percent of other chemical production and 40 percent of chemical exports (organic and inorganic). The state has more than 4,400 industrial units that manufacture chemicals and chemical products. Having 50 percent share in exports of inorganic chemicals and 39 percent share in organic chemicals, the chemical industry in Gujarat produces around 6,500 chemicals and petrochemicals. Gujarat is also home to the world’s largest grassroots refinery in Jamnagar and India’s first operational Petroleum, Chemicals and Petrochemicals Investment Region (PCPIR) in Dahej. Manufacturing sector contributing over 30 percent to State GDP. Strong manufacturing sector leads to continued high demand for chemicals, petrochemicals and intermediates. Presence of manufacturing units across the chemicals and petrochemicals value chain helps optimise supply chains and logistics costs. Six Smart Cities being developed in Gujarat will lead to increased demand for Construction Chemicals and Paints. Gujarat is a major producer of crops such as wheat, rice, groundnut, bajra, castor, cotton and mango which ensures continued demand for fertilizers and agro-chemicals. Booming automotive sector in Gujarat will give rise to future demand for Automotive Chemicals. Gujarat accounts for over 50 percent of India’s polymer production. Plastics industry generates demand for petrochemical derivatives.With 150 MMTPA crude oil import capacity and 102 MMTPA refining capacity across our complexes, Gujarat has a strong presence across the petrochemicals value chain. As much as 13 percent of India’s crude Oil production and 5 percent of Natural Gas production comes from the state. 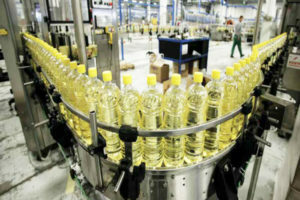 There are also a significat number of clusters of derivatives, plastics and polymers manufacturing, spread across the state.The chemicals, petrochemicals and intermediates produced in Gujarat serve markets around the world including North America, South America, Europe, Middle East, Africa, Russia, China, South East Asia, East Asia and Australia. Gujarat provides ample scope for development of the Electronics System Design & Manufacturing Industry. The state being a gateway to Northern India is uniquely positioned to cater to the markets of the same. The opening up of new markets has thrown up enormous possibilities which can be capitalised by the companies based in Gujarat. Through competitive policy offerings, the Government of Gujarat intends to promote investments in the Electronics sector by boosting skilled employment opportunities. Gujarat has targeted the ESDM industry to reach a turnover of $16 billion by 2021 with an investment of $6 billion. This will lead to employment opportunities for 5 lakh people by 2021. It will also create opportunities for earning forex by import substitution and export promotion to the tune of $5 billion by 2021. Electronic manufacturing clusters in Gujarat include Vithalapur, Mundra, Sanand, Jambusar, Bharuch, Vadodara and Halol, among others. 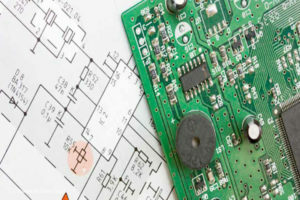 In fact, Ahmedabad, Gandhinagar & Vadodara have been notified as Electronics Manufacturing Clusters under the Electronic System Design and Manufacturing (ESDM) and Modified Special Incentive Package Scheme (M-SIPS) by the Department of Electronics & Information Technology (DeitY), Government of India. GIDC has received in principle approval for establishment of a greenfield electronics manufacturing cluster in Khoraj village near Sanand under the Government of India’s new ESDM and M-SIPS scheme. Adani Solar-Mundra Solar PV Ltd, the solar PV manufacturing arm of Adani Group, has a 1.5 GW Cell and Module Manufacturing facility in Mundra. The unit is located in a Special Economic Zone. The company’s vertically integrated businesses offer services across the spectrum of photovoltaics manufacturing. It plays host to the entire solar manufacturing ecosystem from polysilicon to modules, including ancillaries and supporting utilities. The industry is well supported with educational infrastructure with Indian Institute of Technology (IIT) at Gandhinagar, Sardar Vallabhbhai National Institute of Technology at Surat and Institute of Technology, Nirma University, Ahmedabad providing the trained engineers in ample numbers. With a sound base of 30 enginering clusters, more than 300 units in large sector and 7,500 units in small and medium (SMEs) enterprises, Gujarat contributes around 18% to state’s total industrial production and around 9% to the national engineering output. Gujarat was a leading FDI destination for Engineering and Automotive industry. Gujarat was amongst the top three FDI attracting states in India in 2016-17. Automobiles, Telecommunications and Power generation are key engineering sectors that attract 36% of the total FDI inflows in the state. According to DIPP, FDI in this sector in Gujarat grew at a CAGR of around 58 percent between 2013-14 and 2016-17. Skillset development is one of the top priority areas for the Government of Gujarat. With an intake capacity of 71,799 engineering students, over 7 lakh graduates are added to the state talent pool every year. More than 8 lakh candidates have been imparted computer and IT training through the government’s eMPOWER programme. The small-scale industry is a significant contributor to the production of brass parts, foundry, forging and machine tools, oil engines and electric motors, submersible pumps and industrial valves and bearings. Gujarat houses 83 product clusters; out of which 30 are engineering product clusters. The brass parts cluster at Jamnagar has over 5,000 small units and meets almost 70 percent of the entire requirement for brass parts in India. 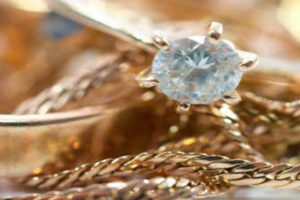 Gujarat has the highest share (nearly 85 percent) in the total national Jewellery production and accounts for 72 percent of the world’s share of processed diamonds. Surat has 65% share in India’s diamond trade. Gujarat also accounts for about 80 percent of diamonds processed and 95 percent of diamonds export from India. Almost 8 out of 10 diamonds in the world are processed in Gujarat. Ninety percent of the total diamonds in Gujarat are processed by about 10,000 diamond units located in and around Surat. 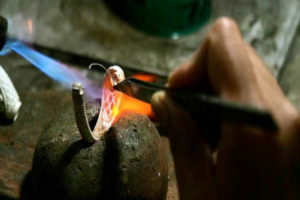 Gujarat is also internationally renowned for he production of unique hand-made silver ornaments. A gold jewellery manufacturing cluster in Ahmedabad has a productivity of around 50 gm of production/day, highest in the country. The growth of this industry is primarily attributed to the increase in the demand driven by expansion of the middle class and support from the government in increasing the competitiveness. Gujarat has identified Gems & Jewellery sector as one of the thrust areas for development. One of the important factors contributing to the growth has been the development of SEZ’s by the state.A single-product, SEZ specially dedicated to gems and Jewellery with available infrastructure, Gujarat Hira Bourse (GHB), is located close to Surat city. There is also a multi product SEZ, Surat SEZ (SurSEZ), which also aids the growth of gems and jewellery sector. Entrepreneurship merged with skilled craftsmanship is the key enabling factor for Gems & Jewellery sector in Gujarat. Major institutions offering Labour cost per carat in USD courses specific to Gems & Jewellery include Indian Diamond Institute (IDI), Surat National Institute of Fashion Technology (NIFT), Gandhinagar, and National Institute of Design (NID), Ahmedabad. Gujarat was ranked 4th in terms of over all performance Index Score based on performance of health outcomes published by NITI Aayog in February 2018. Dahod district in the state has topped in ëAspirational Districtsí released by Niti Aayog in June last year. With three Super Specialty Facilities, 24 District Hospitals, 36 Sub-District Hospitals, 22 Medical Colleges and 307 Urban Health Centers, Gujarat has a futuristic healthcare infrastructure. 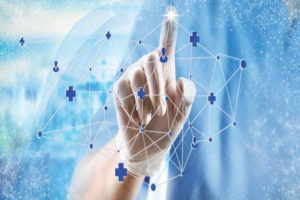 The state is also a booming hub for medical tourism making a significant contribution towards the growth of $3-billion medical tourism market in India. Assistance of Rs. 15 lakhs per seat per year in MBBS course for five years. Reimbursement of electricity duty in the electricity bill for five years for private medical colleges. Fifty percent discount on the prevailing market price of the land for trust. 10 percent capital subsidy of bank loan amount with upper limit of Rs.10 crores for establishing new super-spcialty hospitals. Incentives for purchase of new equipment. At present, there are 26 medical colleges with 4,150 MBBS seats in Gujarat out of which 285 are NRI seats. Government of Gujarat is also encouraging Ayurveda, Naturopathy & Yoga tourism. The vision of the state government is to realise and harness the potential of innovation which will act as a catalyst for the multi-faceted balanced development and inclusive growth in the state. Gujarat accounted for over 10% of the total R&D spending of India in 2010-11. The state has attracted maximum foreign technology transfer agreements from 1991 to 2011, giving further boost to research and development. The state has over 35 R&D and specialised institutions, focusing on applied research for major manufacturing sectors including pharmaceuticals and biotechnology, chemicals and petrochemicals, auto and engineering, renewable energy, etc. One of the key sector for innovation and R&D includes Pharmaceuticals and Biotechnology. 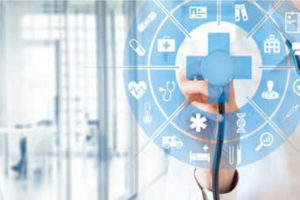 The state has 40% of the Contract Research Organisations in the country and the key R&D segments include clinical research, genetic engineering, drug research and development.In 2011-12, Gujarat was seeded as one of the 7 Cluster Innovation Centres (CICs) for Pharmaceutical sector by National Informatics Centre (NIC). The CIC has around 450 drugs and pharmaceuticals manufacturing units in Ahmedabad, Vadodara and nearby areas constituting of 7 big, 20-25 mediumsised and the rest being the small firms. Major products include pharmaceuticals and medical disposable products. The development of CIC has been actively supported by various technical training institutions, industry associations and government agencies. Cluster approach based innovation promotion initiatives have resulted in institutionalisation of a one year, partially self funded Techno-Biopreneur programme for mentoring aspiring life science technology based entrepreneurs among Entrepreneurship Development Institute (EDI), Gujarat State Biotechnology Mission (GSBTM) and Foundation for MSME clusters. Also, a physical facility for preservation of new chemical molecules at Rajkot University has been strengthened through this project. Under the Support to Research & Development Institutions Scheme, the government is focusing on up-gradation of facilities and setting up of new R&D institutions, testing facilities, incubation centers, etc. For support to R&D Institutions, assistance of up to 60 percent of the project cost is provided (excluding cost of land and building) and for assistance to contract/sponsored research work, assistance of up to 50% of the project cost is provided (excluding cost of land and building) subject to a maximum of $100,000. iCreate, or International Centre for Entrepreneurship & Technology, is a Gujarat government initiative to promote innovation. Under this programme, a world class innovation centre is to be developed on a sprawling 34-acre campus aimed to provide the best environment to young entrepreneurs to innovate and create businesses which in turn will result in prosperity of the state as well as India. Ahmedabad, the capital city of Gujarat, is home to Physical Research Laboratory (PRL). Known as the cradle of Space Sciences in India, PRL was founded in 1947 by Dr. Vikram Sarabhai. As a unit of the Department of Space, Government of India, PRL carries out fundamental research in selected areas of Physics, Space & Atmospheric Sciences, Astronomy, Astrophysics & Solar Physics, and Planetary & Geosciences. B.V. Patel Pharmaceutical Education and Research Development (PERD) Centre in Ahmedabad is another organisation which acts as a supportive partner to the pharmaceutical industry and academia, providing the facilities and resources to undertake the latest in R&D. Institute of Seismic Research (ISR), Gandhinagar; Anand Agricultural University (AAU); Institute of Plasma Research (IPR), Gandhinagar; Torrent R&D Centre; National Institute of Pharmaceuticals Education and Research (NIPER); Gujarat Energy Research and Management Institute (GERMI); Electrical Research and Development Institute (ERDA); Gujarat Grassroot Innovation Augmentation Network (GIAN); and Central Salt & Marine Chemicals Research Institute (CSMCR), Bhavnagar, are among other premiere institutions which contribute sgnificantly to the R&D profile of the state. The size of ICT industry in Gujarat in FY 2015-16 was $1.1 billion with estimated total outstanding investments of over $30 billion in IT sector by FY 2020-21. 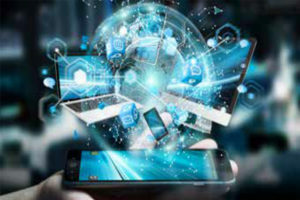 According to the Department of Science & Technology, Government of Gujarat, there are 1,500+ IT-ITeS companies registered with Gujarat Electronics & Software Industries Association (GESIA), which are gradually spreading their markets from the US to other regions like Europe, Middle East and Africa. The total computer hardware and peripherals exports from Gujarat in 2016 was $7 million. There were six operational IT/ITeS SEZs in Gujarat in the cities of Ahmedabad, Gandhinagar and Vadodra. In terms of educational facilities, the stretch between Ahmedabad and Gandhinagar is being developed as a knowledge corridor with several Centres of Excellence (CoE) taking shape. The IT/ITeS Policy (2016-2021) of the Gujarat Government offers attractive incentives for Vertical and Horizontal IT/ITeS Parks, IT/ITeS units and R&D Institutions. The policy also underscrores that in all e-Governance Projects undertaken by the Government of Gujarat, part of work of value range between 5 percent and 10 percent will be outsourced to startups and students of technical colleges in Gujarat. The MSMEs play an important role in Indian economy by contributing nearly 8% to the country’s GDP, 45% of its manufacturing output and 40% of its exports. Socially, the sector is instrumental in giving employment to a large number of people thus creating social stability and local engagement, generating regional expertise in various domains. MSMEs are the bedrock of Gujaratís formidable manufacturing economy. The State has witnessed a strong growth in this sector and wishes to strengthen it by making it more technology-driven. The government offers proactive support for the development of MSMEs, value addition on local primary sources and increase MSMEs’ share in the State GDP. Considering its importance, the new industrial policy of Gujarat lays special emphasis on cluster development approach by providing special assistance schemes. 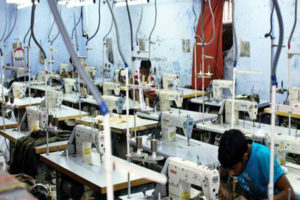 The schemes not only lay importance on softer interventions such as technology up-gradation with assistance from R&D institutions/university, product design, quality improvement, common branding and marketing facilities, capacity building and productivity improvement but also on harder interventions such as creation of cluster-specific common infrastructure and facilities, development of common facilities such as raw material or product warehouse, testing laboratory, R&D Institution, tool room facilities, incubation center, CFC, ITI extension center and other need-based facilities. The policy’s prime focus is on augmenting the incomes of all people dependent on MSMEs and on making industry cluster stakeholders more responsive, efficient and competitive. A sound infrastructure is the backbone of a healthy economy. 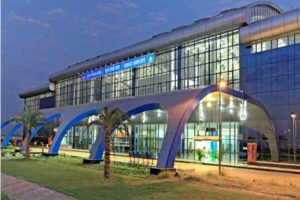 Gujarat already possesses excellent infrastructure which includes the highest network density of roads, connectivity by rail to all parts of the country, an international airport and major and minor ports. 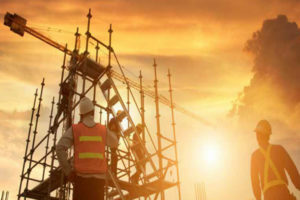 The state has been identifying and developing required infrastructure in SIRs, GIDC estates or private industrial parks/ areas for which last mile connectivity is a prime concern. The state has initiated several projects which will re-define India’s economic journey and will put the country on the high-growth trajectory. Projects like GIFT City, DMIC/DFC, Dholera SIR, Mandal Becharaji SIR, Ahmedabad- Mumbai High Speed Rail Greenfield Ports Development, Coastal Employment Zone, a 1,000 MW Offshore Wind Farm and other mega infrastructure projects will help cement the strong image of Gujarat as one of the most progressive and developed states in the world. 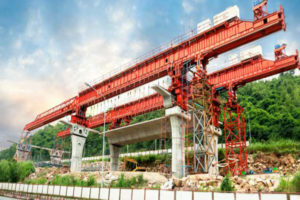 DMIC is India’s most ambitious infrastructure programme with emphasis on expanding the manufacturing and services base and aim of creating futuristic industrial cities by leveraging the “High Speed – High Capacity” connectivity backbone provided by Western Dedicated Freight Corridor (DFC). The estimated investment in the project is $100 billion with eight manufacturing cities being developed in PHASE I, of which Dholera in Gujarat is one of them. ‘Dedicated Freight Corridors’ (DFC) are planned to make it cheaper, faster, and more reliable to move goods between industrial heartlands in the North and ports on the Eastern and Western coasts of India. The Western Dedicated Freight Corridor covers a distance of 1,504 km of double line electric (2 X 25 KV) track, of which 565 kms will pass through Ahmedabad, Vadodara, Surat, Ankleshwar, Bharuch, Anand, and Palanpur in Gujarat. Dholera Special Investment Region will be the biggest beneficiary of DMIC and DFC. This mega project offers advantages like large and contiguous land parcels for industrial development, long term growth potential, fully serviced plots – Plug & Play and smart and sustainable social infrastructure, among others. Dholera SIR is within the proximity of Delhi-Mumbai Industrial Corridor. Dholera SIR is also to be developed as a smart city operational in 2019, which will be the first ‘Platinum’ rated green city by IGBC. It will also have the worlds largest solar power plant of 5000 MW to be developed on 11,000 hectares with investment of $3.5 billion. Mandal Becharaji Special Investment Region (MBSIR) is being developed in north-west of Ahmedabad spread over an area of 102 sq. kms. A Japanese Industrial Zone is being developed at MBSIR which will be home to major auto companies like Suzuki Motor Corp., Honda Motorcycles and Scooter India Pvt. Ltd, and Toyota Tsusho India.